Good hours. Complimentary coffee. Many room sizes. All you could want for storage place. 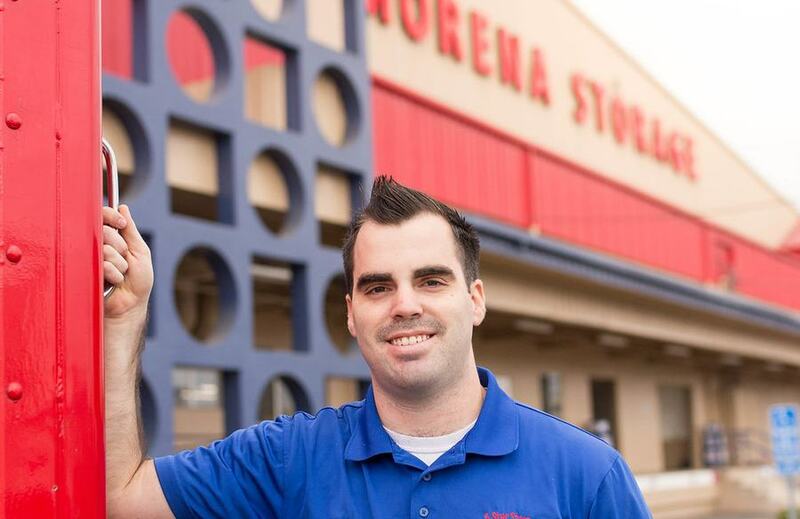 My overall experience was excellent, very professional and timely, thanks to the desk manager and Josh for your help, I'll never wonder where the best option for moving and storage is in San Diego. I hate storage, but if you have to store stuff this place is IT. Clean all over. Amazing staff. All very kind, very helpful. The service is old world, you are not storing stuff here, you are a guest in their house. Excellent customer service offered here! 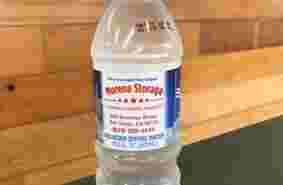 They give you a cold water bottle right when you walk in, the strong men who work there help you to put your stuff into/take your stuff out of your storage unit, AND you get a free moving truck and helper when you first rent a unit (a free service that you can use whenever you want, doesn't have to be right away), PLUS the helper helps you place and organize your things into your unit. 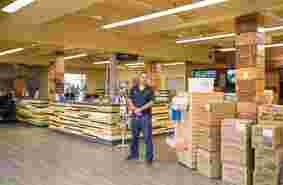 Very helpful & courteous men there, very high security, very well maintained, and easy to access the units by using the freight elevators and dolleys & carts provided free to the customers. Highly recommended! Friendly staff, very helpful and professional. They also have fresh cookies. Love this place...I've been here 5 yrs. Ezra is my #1 person in here. I adore him....cleanest storage place you will ever find. Owner is such a sweet man. Incredible place. 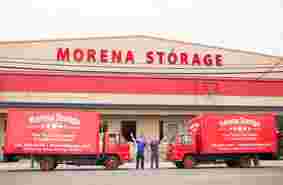 Super nice and helpful staff, impeccably kept--would highly recommend this storage facility!!! I highly recommend Morena Storage. Very pleasant facility, ez to use, and the staff is absolutely outstanding. They're almost always holding some sort of promotion so prices are great. Customer service is stellar, they absolutely want your business and will go above and beyond to make you feel like a valued customer. The only negative I've experienced is that their computer system is slow and on the fritz, so monitor your bank transactions just in case. The staff knows this is a problem and do their best to fix the issues as soon as they are brought to their attention. Love that place!!!! But no exeptions from the manager who not care about your problem and want to spent even 30 min for which you offer to pay him even double hour time wright now. Before I was think that offer show the whole deep of situation in which you are and shows how urgently I need some help and everything depends only from you buddy ... But stop!!!! I never complain for that place!!! Manager refused in caseits a new year and he must be done with personal duties, even if me havent to celebrate it... Look, they cut some instinctual things and I honor I found them and I definitely will use them again and again! 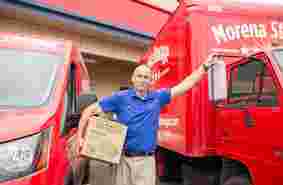 They provide you brave guy or two, or three if you bring a hundreds of lbs of your staff or even movers you hire bring it, doesn't matter!. And team they provide strong physicaly and smart! To get that brave team to help you pass that way you have faster you need to have a rent a unit. Its like a PRIME OR A+ thing which they provide you for free just in case they honor about YOU are chose them! ALSO THEY HAVE A DOCKS TO UNLOAD OR LOAD YOUR PERSONAL THINGS (IT'S TIME AND TIME IS MONEY!!!!). IN FRONT OF THAT ANOTHER THING LOOKS LIKE MUST HAVE BUT I FOUND THAT ITS REALLY SECURED (THAT WORD COVER A TONES OF PROCESSES THAT WORK HERE AS A SWISS CLOCK) AND CLEAN. FOR THE LAST I FOUND THEY HAVE SOME HUUUGE UNITS THAT DEFINITELY WILL FIT EVEN WHOLE YOUR 4 OR MORE BEDROOM HOUSE STAFF. I really hate to talk a lot, but the way they use, how they trained and friendly doesnt give meeven a small chance to explain in couple phrases how good to be a customer of that business! 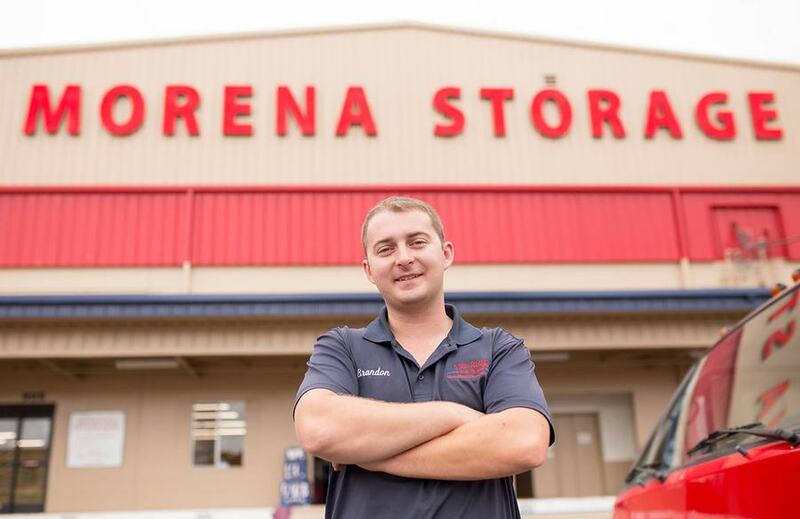 Bring the truth thru the times- "We Help Take the 'SELF' out of 'SELF STORAGE"!!!! I feel it and it cost more than time and money!!! I refer everyone there. Especially my clients whose listings I have. 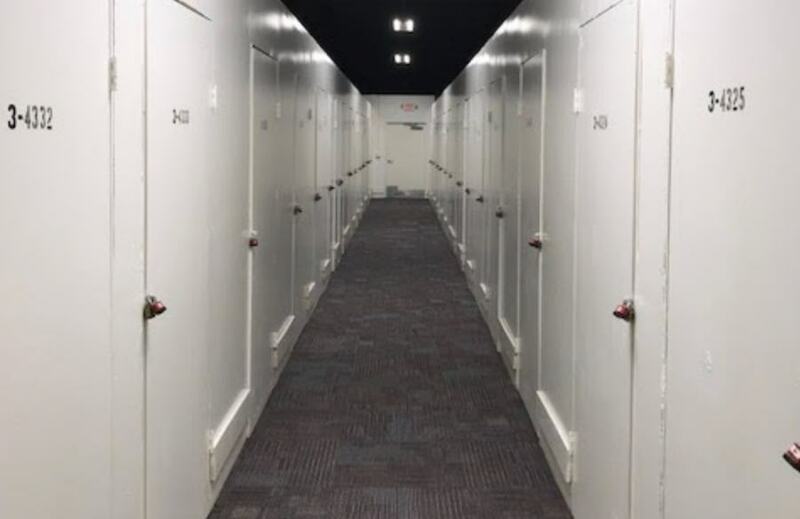 Finally a storage place with individual lighting for each unit! Previous storage place was always dark inside the unit. Excellent service, Friendly staff. Good rates. Exceptionally clean, even the bathrooms are spotless. 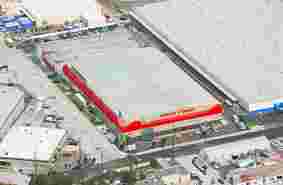 They have a walk in Showroom thats great to show you the actual size of their units. With the numerous positive attributes listed for Morena Storage, I was eagerly anticipating being able to do business there. Unfortunately I don't know if David is a new employee or Morena and parent corporation have changed their polies; DAVID'S ENTIRE PURPOSE FOR BEING EMPLOYED THERE SEEMS TO HAVE BEEN TO MAKE SURE NO-ONE IS EVER ALLOWED TO RENT THERE, TO THE POINT OF SMILING RATHER SNIDELY WEHILE MAKING A DIRECT REFFERAL TO A CLOSE LOCAL COMPETIOR! Repeatedly things like, courteous, polite, knowledgeable, patient, through are listed in the reviews, DAVID WAS NOT ANY OF THESE!!! Joyra and Ertza were great and easy to get along with which makes me question's David's crude, belligerent attitude. Be Warned and leery try your best to work with one of the more harmonious employees it will be worth your effort. You can free up space in your home or business, and never have to leave the property. 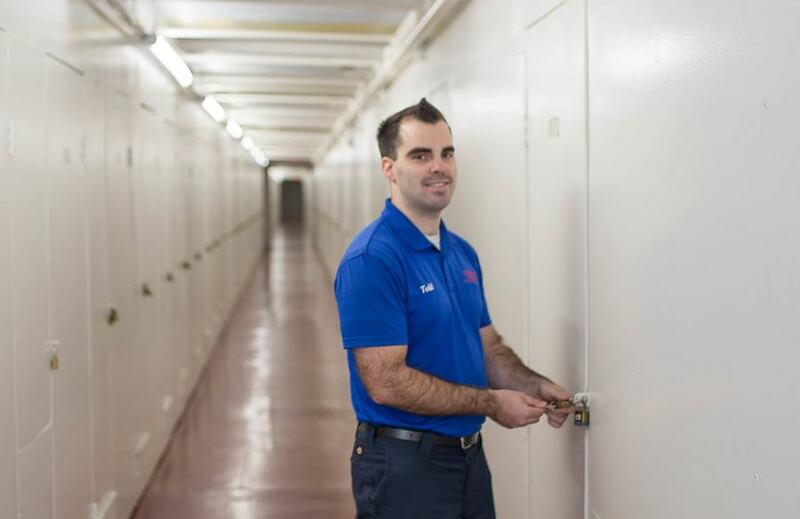 Check out our website to choose your self-storage unit and book it online. 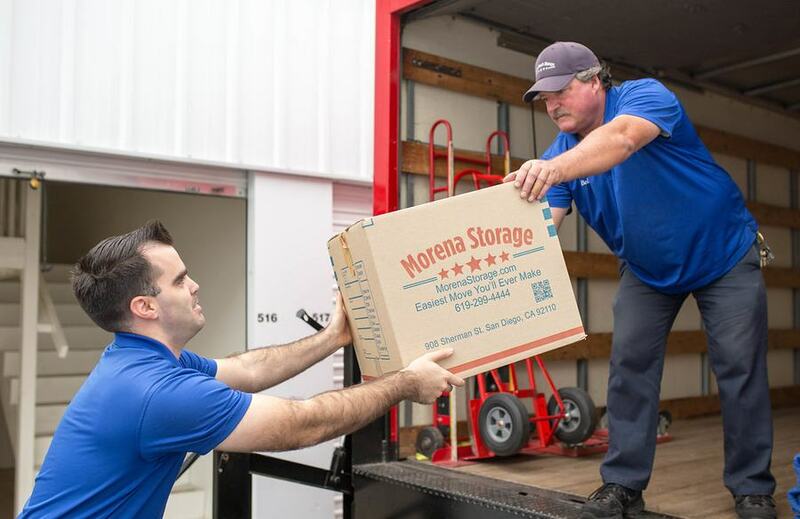 Our bonded staff will come with you to load up your belongings in one of our trucks and take them back with you to your unit at our facility. 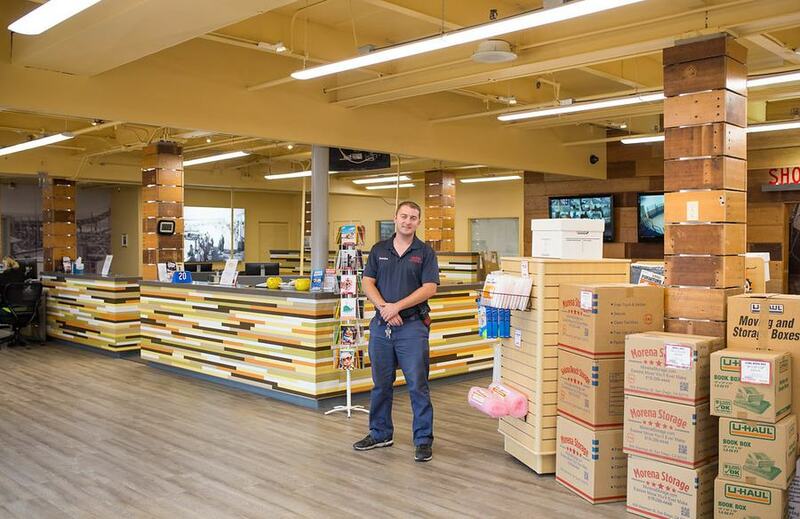 If you are unsure of what size unit you may need, stop by and chat with our friendly helpful staff. 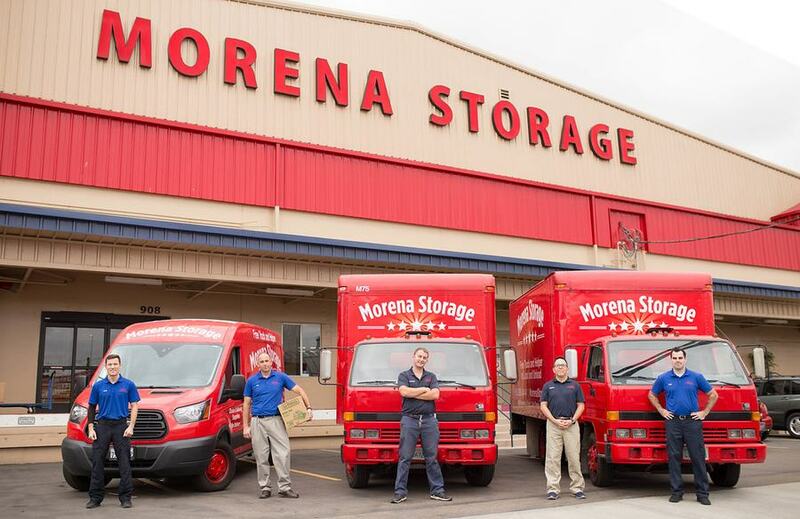 They will review your storage needs and match you with one of our 1700 units that is just right for you. Carts are available on-site for easy hauling, and our elevators help with the heavy lifting. We also offer a full business center with available conference room, free WiFi, free fax, free printing services, and much more so you will not lose productivity while taking care of your storage needs. We also receive and deliver packages for all of our tenants. 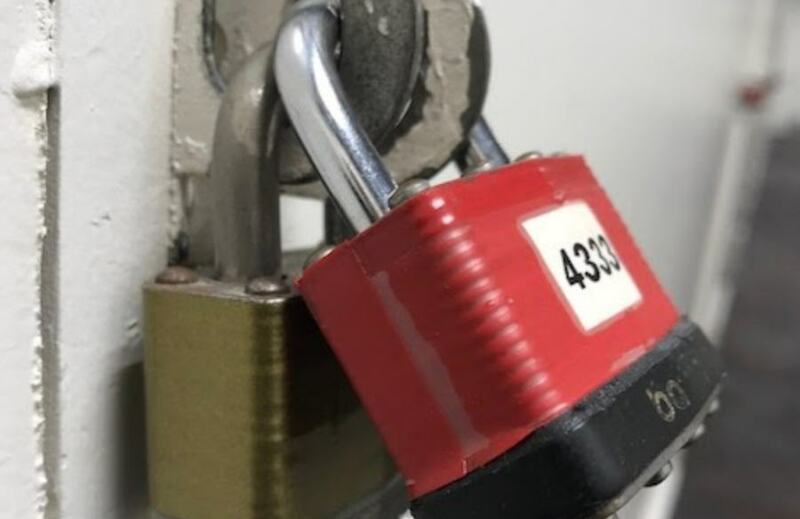 Our San Diego, CA self-storage unit facility has 24-hour video security, and we use a double lock system on all storage units. We are fully equipped with a fire alarm system and units have lights and sprinklers. To protect your belongings from the California weather extremes, we offer climate controlled units. 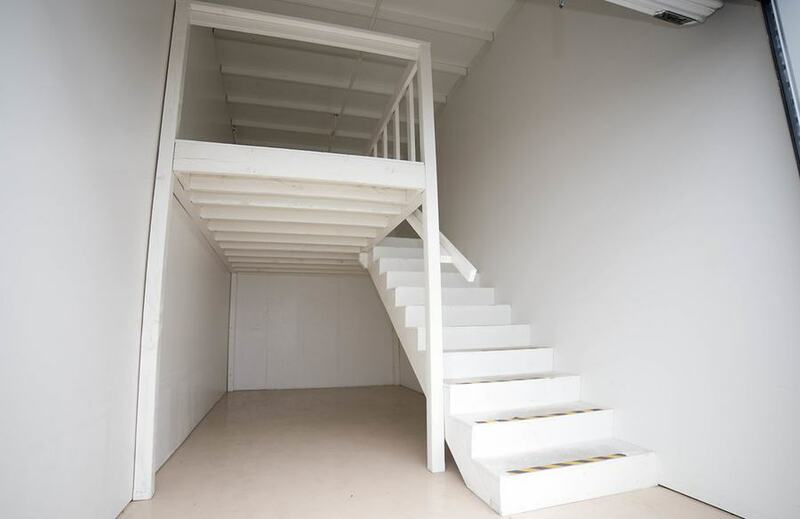 Storage units are indoors under one roof for added security and protection. 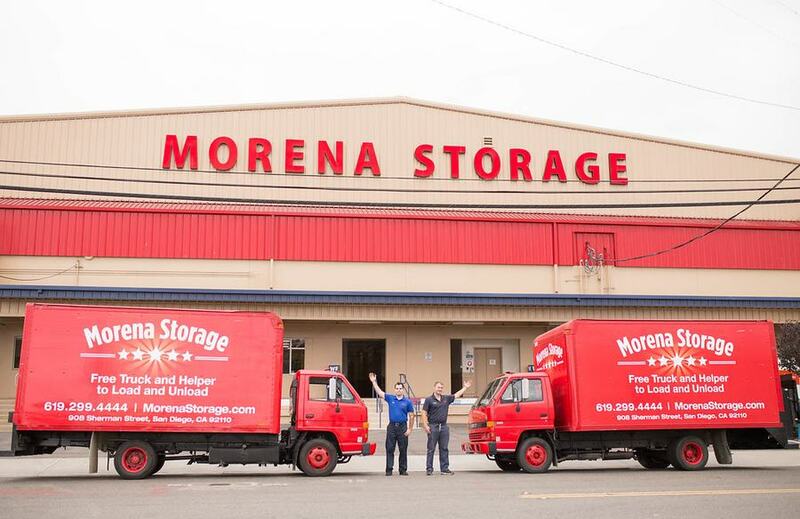 Morena Storage is your one-stop shop when it is time for a big move. We have U-Haul trucks available for rent, as well as all of your packing supplies like boxes, packing tape, bubble wrap, and labels. While you visit our facility, stop by for a refreshing bottle of ice cold water or a nice cup of coffee or tea, and grab a little candy treat. 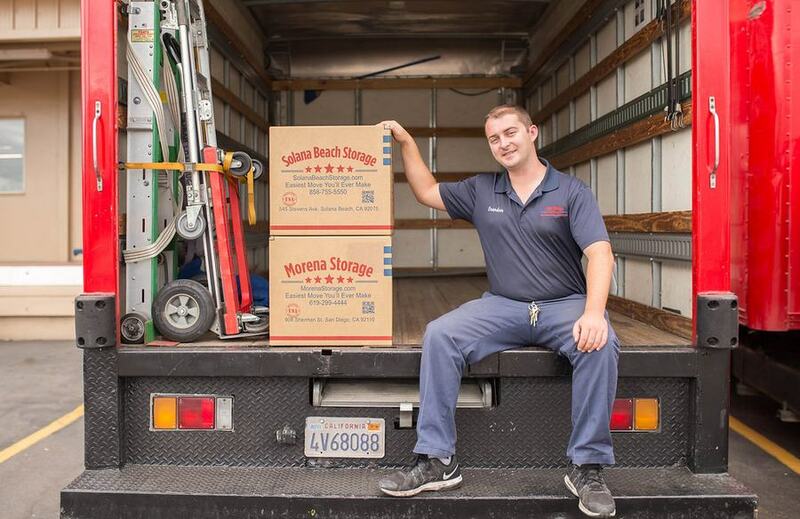 Hauling your things is hard work, so we want to make sure we treat you right! Locally owned for over 25 years, we are your go-to company for storage units in San Diego. 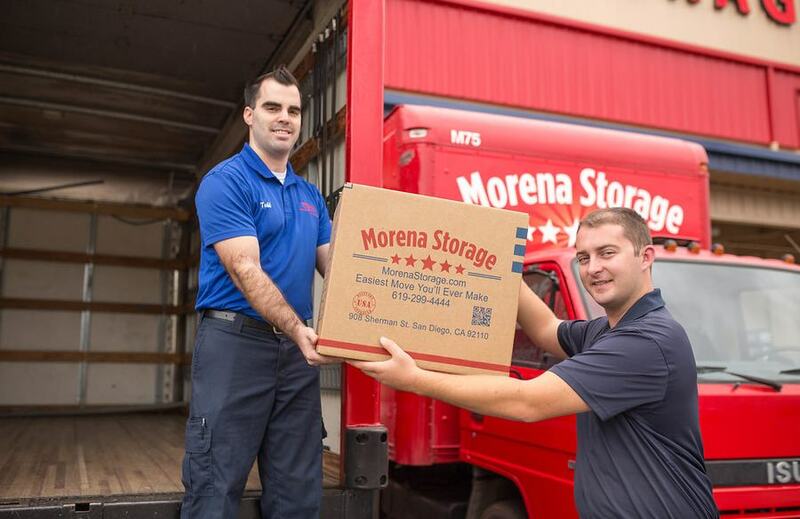 Contact us today for more information about our storage and moving services, or stop by our facility on Sherman Street off Sea World Drive and Morena Boulevard, next to the Sears Outlet Center. Se habla español. Just off the 5 and 8 freeway, look for the HUGE American Flag.